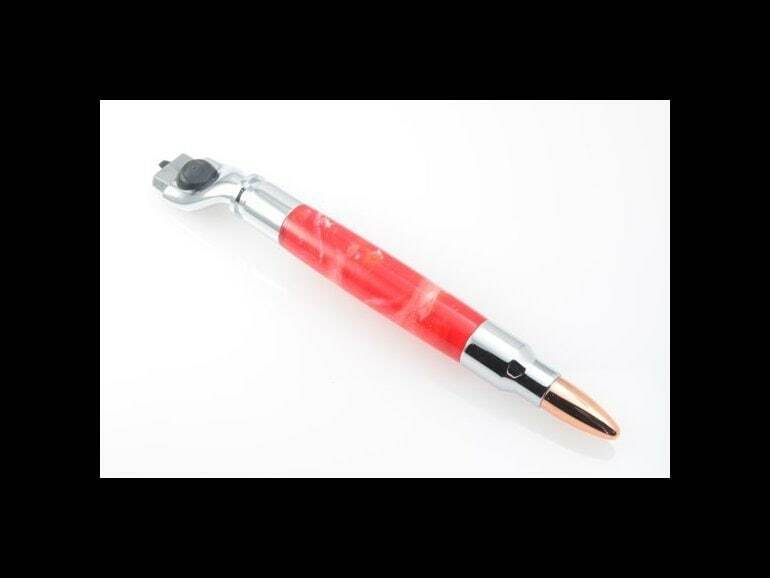 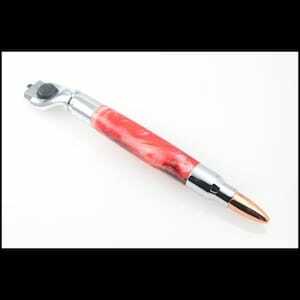 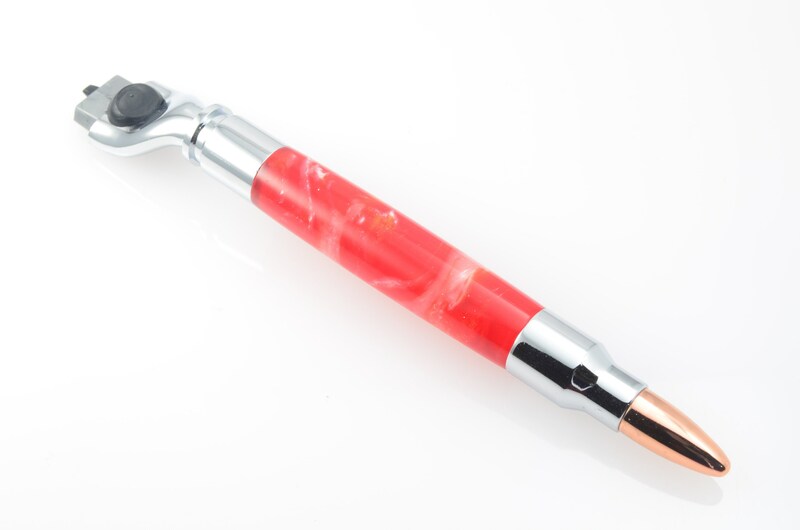 This red and white bullet razor is the perfect accessory for the avid outdoors-man, or woman. 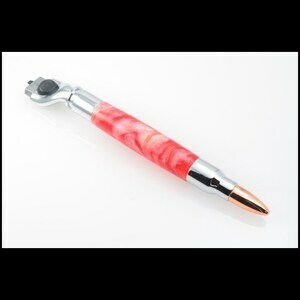 The handle accepts a MACH3 razor cartridge, or Venus cartridge, for convenience (cartridge not included). 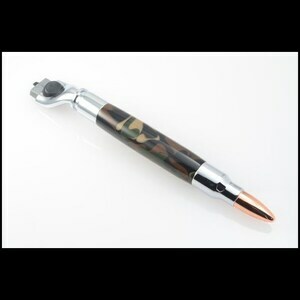 As with all of my items, this one can be made to order with almost any of the colors you see in my shop, and some you don't see. 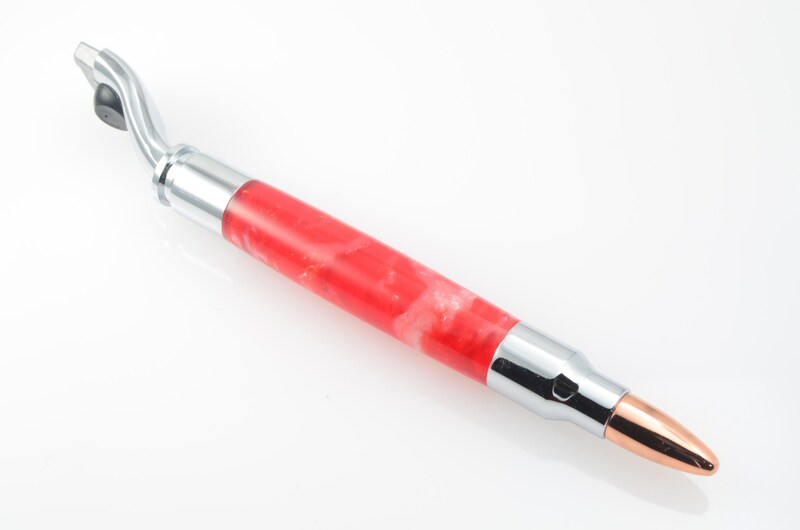 I custom pour my own acrylic, so if there is something you would like, but don't see, just send me a convo, and we can figure something out. 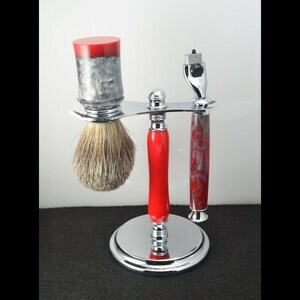 Any of my razors, or shaving sets, can be made in groups (not duplicated) for wedding, groomsmen and bridesmaid, gifts. 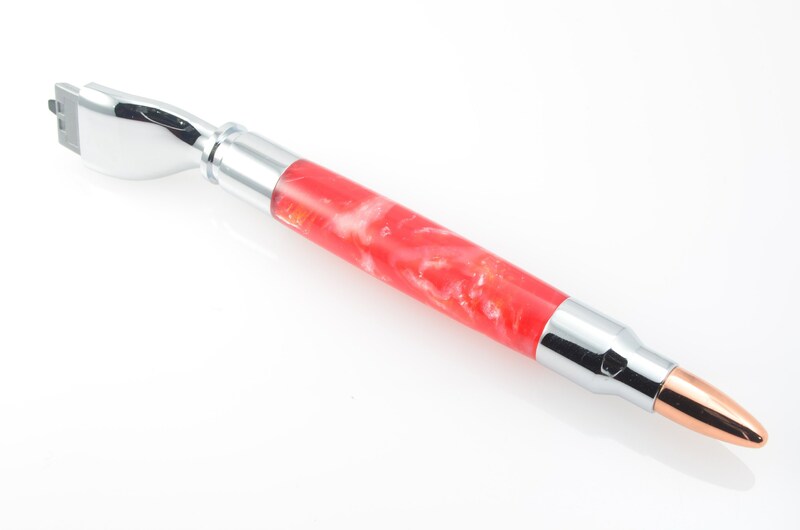 All of my hand poured acrylic will have different swirl patterns and color distribution, so they won't be identical to each other, but they will be similar, one of a kind keepsakes.